Have you updated your Xperia Sola, Now Root it! Sony Xperia Sola users must be aware that just last week there was an official roll out of Ice Cream Sandwich for their handsets. If you have updated Xperia Sola with ICS then you would be able to enjoy some really good features. But our question is that have you rooted your phone? Rooting an Android opens up all the boundaries and makes it free. Rooting Xperia Sola helps you make the desired changes in the OS. There was a time when rooting was quite difficult but now it has become very simple. The credit of this goes to various Android geeks who could make it possible. Now coming back to the topic, if you have Xperia Sola with ICS and wish to root it then you can follow the procedure as given below. But before that just go through the disclaimer. Disclaimer: Rooting Android Smart phone can be risky and thus you must do it at your risk. Even though rooting helps in getting the custom experience, it is important to note that there is a small risk of data loss or phone bricking when you root Xperia Sola. The very first thing we would recommend is to take complete back up of your phone. This will help you in case of a mishap. Keep the phone charged to the extent of 80 percent. 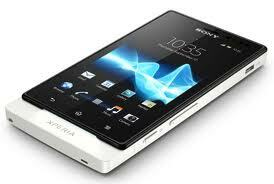 Install USB drivers of Sony Xperia Sola on your PC. Enable USB Debugging on Xperia Sola. It is important to note that this tutorial will work on factory unlocked Xperia Sola. Now when you have fulfilled all the above requirements here are the step by step instructions to root Xperia Sola on ICS 4.0.4. 1. Download Bin4ry root from here on your PC: Download Root_with_Restore_by_Bin4ry_v13.zip. (We heartily thank Developer Bin4ry for creating this root tool). 3. Check USB drivers once again, whether properly installed or not. 4. Now move to the zip file folder that you had run the batch file. ‘RunMe.bat‘. 5. You will be able to see instructions on the screen and you must follow them all. Within a few minutes your will be able to root Xperia Sola on ICS. 6. Your phone might restart 2 times, just have patience. If you wish to verify that whether your phone is rooted or not, just check out for the Superuser app in the app list. Note from Bin4ry for root: There is a special case for Xperia Sola and Xperia S, P etc. phones, this phones run ICS but don’t have android’s native restore with adb, Sony has added a own custom “Backup&Restore” app, the script handles this cases too, just choose the correct option!